9 months ago I tried – and failed – to enter a trail of abandoned tunnels which were part of the Atami/Tokaido lines in Kanagawa. I got lost in the wilderness, wasted a rare day off, and had absolutely nothing to show for it. Lesson learned. Even with all my previous conquests, there were some challenges I just wasn’t prepared for. 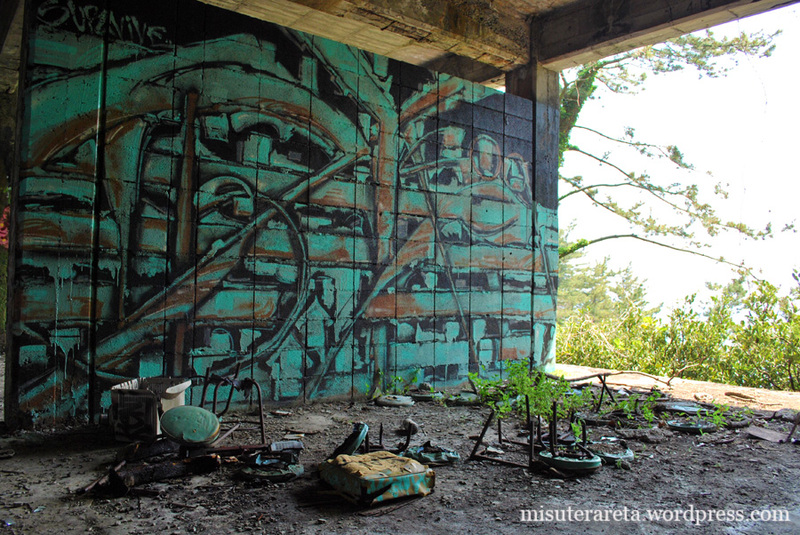 On the edge of a peninsular cliff in Kanagawa lies a curious ruin of which almost nothing is known about. It’s difficult to believe that it was intended to be a barbecue restaurant, but that’s the only theory floating around at this point. What is clear is that the building was never finished, and that in the intervening years a new kind of resident has settled in. Impossible to spot with either Google Maps or Google Earth, I took a chance to venture out and see if this ruin was still standing. ‘The Hawaii of Japan’ has a nice ring to it, which is why several islands —including Hachijō-jima— have laid claim to it. 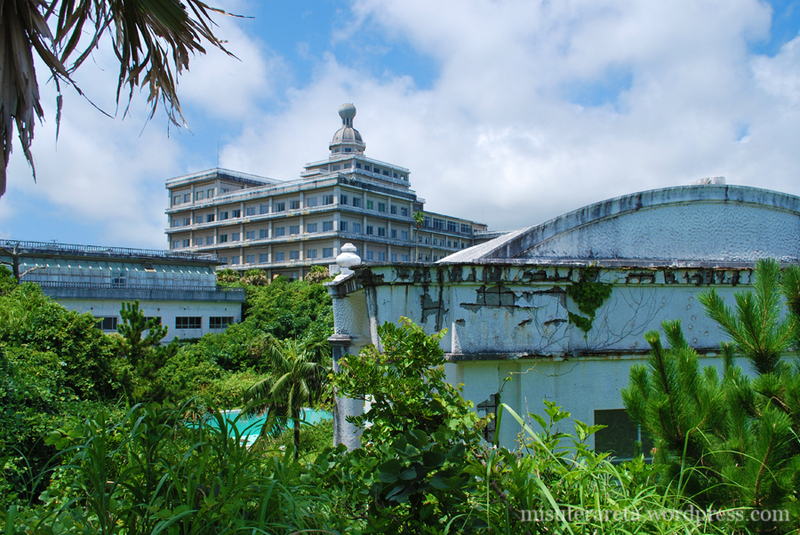 Sadly Hachijō-jima has a lot more to offer urban explorers than it does your average tourist these days. I underestimated how difficult some of the ruins on this hit list would be to reach. The main circuit around the island is a comfortable drive, but turn off that road toward the coast and you’ll be forced to drive down some pretty scary roads. The Kokusai Kankō Hotel however can be seen on the horizon from miles away, and is the only multi-storey building on this part of the southern shoreline. After the previous days’ disgusting adventure at the Hachijō Oriental Resort Hotel I really wasn’t in the mood for any more urban or rural exploration. I’d attempted to enter this place before checking in to my hotel, and had been put off by numerous cars parked around the site and a couple of guys scoping it out. It seemed like a pretty active site, and from the pictures I’d seen, another treacherous one. 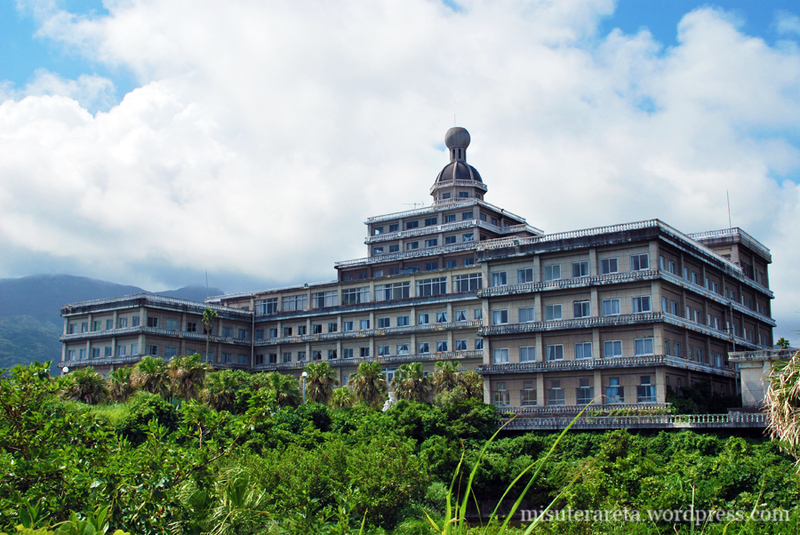 The largest hotel on Hachijō-jima is a grand-looking structure, which tried to emulate some of the palatial glory of French Baroque architecture. 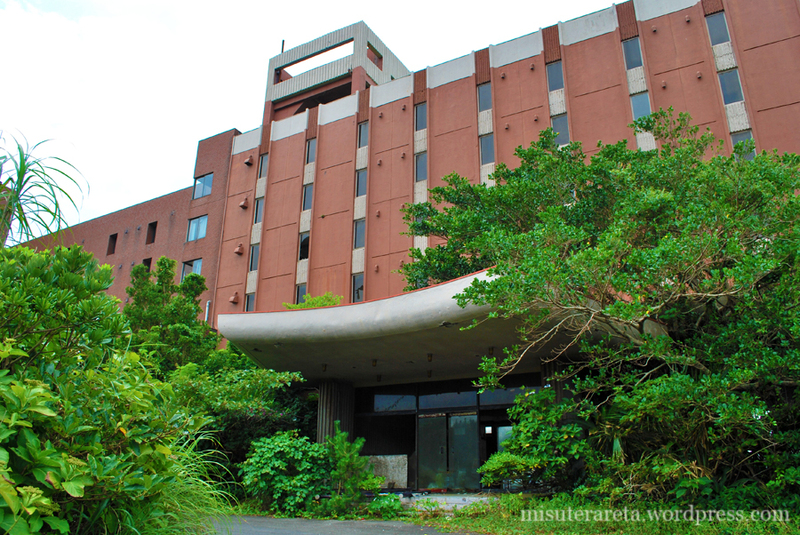 It underwent several name changes over the years —the Hotel Royal, the Pricia Resort— settling on the name Hachijō Oriental Resort Hotel before finally going under in 2006. The island itself is probably most famous as a diving spot, or for its neighbouring island Hachijō Kojima (八丈小島) which was used as the setting for Battle Royale. 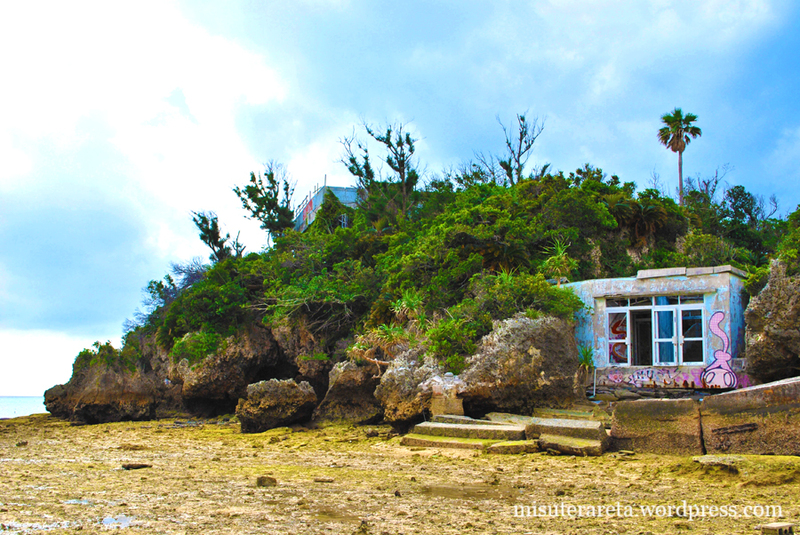 Hachijō-jima has been on my radar for a few years as a destination to explore. As several other explorers have made it there before me, I didn’t anticipate any surprises but was given a few unpleasant ones. The reliably unreliable weather forecast predicted several inches of snow and temperatures as low as -8 degrees for my little excursion out into the mountainous countryside. Traveling far afield purely to document ruins feels a little redundant these days —hence the long absence— but the prospect of a weekend enjoying hot springs in a sleepy countryside town was very attractive. And I had the feeling that there might be a couple of ruins to explore somewhere along the way. What I did find, strolling around the city centre was an abundance of snack bars. In case you don’t know, Japanese snack bars are cheaply decorated box rooms made for even cheaper thrills; conversation with an aging beauty over an overpriced beverage. 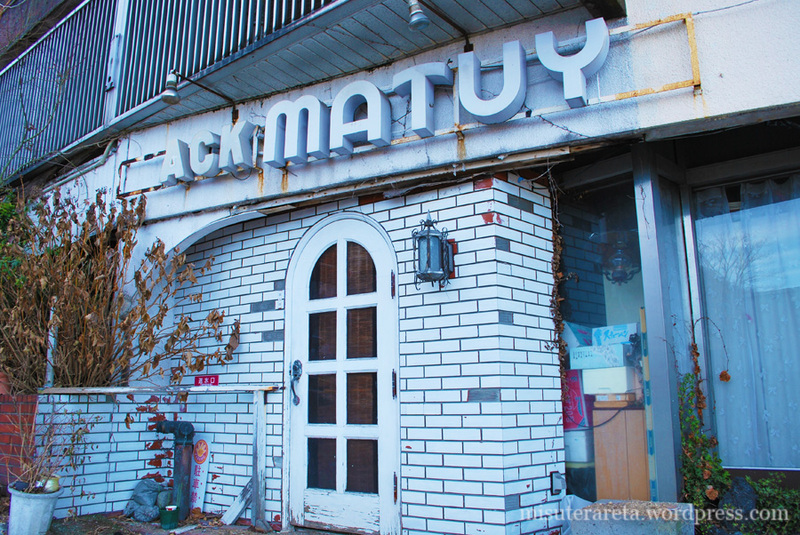 Unlike hotels, abandoned snack bars are always firmly locked up, with very few exceptions. So despite having found dozens of deserted bars over the years, I’d never actually made my way inside.